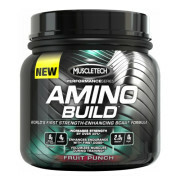 Biobolic Nutrition Bio Super Amino 10000 contains Super-fast absorbing whey protein isolate and fast-absorbing whey protein concentrate quickly muscle-building amino acids. 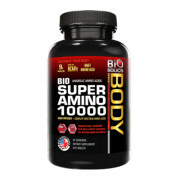 Super Amino 10000 by Biobolics Nutrition is formulated to enhance muscle mass and strength in combination with intense training. 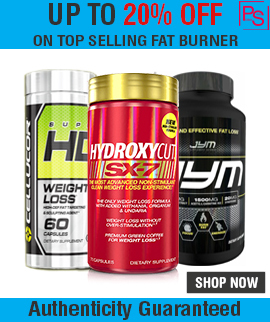 It a must for you if you are an Active Individual or Athlete who is looking to increase their protein intake without adding calorie. 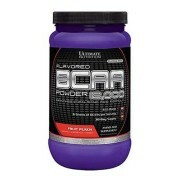 Amino Acids are building blocks of protein helpful with maintaining muscle mass, recovery and help protect your muscles from going into a catabolic state. 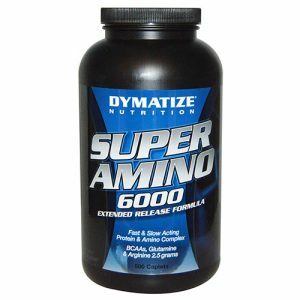 Bio Super Amino 10000 promotes Anabolic activity and is an Amino Acid Complex derived from Enzymatically Hydrolyzed Whey Isolate Protein. 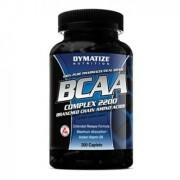 Because it is a Pre-digested protein it allows for an extremely fast assimilation into the bloodstream thereby enhancing Nitrogen Retention for Maximum Gains. 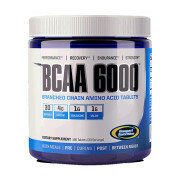 Quality assured Bio Super Amino 10000 provides your body with 9 grams of Protein & a full spectrum of Amino Acid Complex per serving. 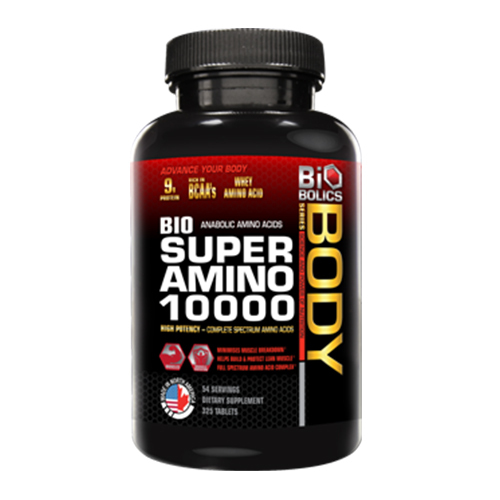 Directions For Bio Super Amino 10000: As a dietary supplement, take 6 caplets per day, before meals as well as before and after training. 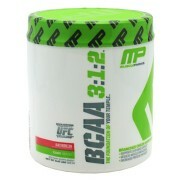 Always take caplets with plenty of fluid.